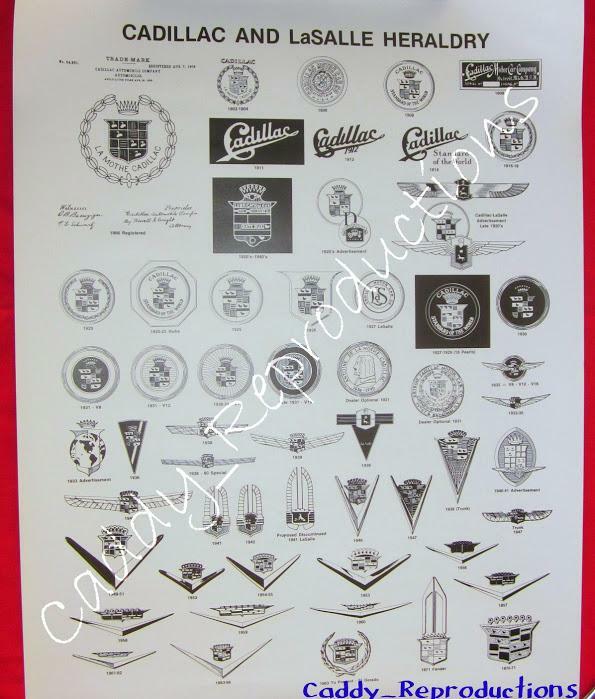 1940 - 1966 Cadillac Poster "Heraldry"
~~Here is a New Cadillac Poster with the Coats of Arms / Crest's. Would make a great gift for the Cadillac Lover. Or in a Game room or Garage. The aprox. size is 18 1/4" x 24 3/16" & will come rolled in a priority tube.